It’s been a fun little project! Small and easy to hook; nothing too complicated about this hooked purse kit. 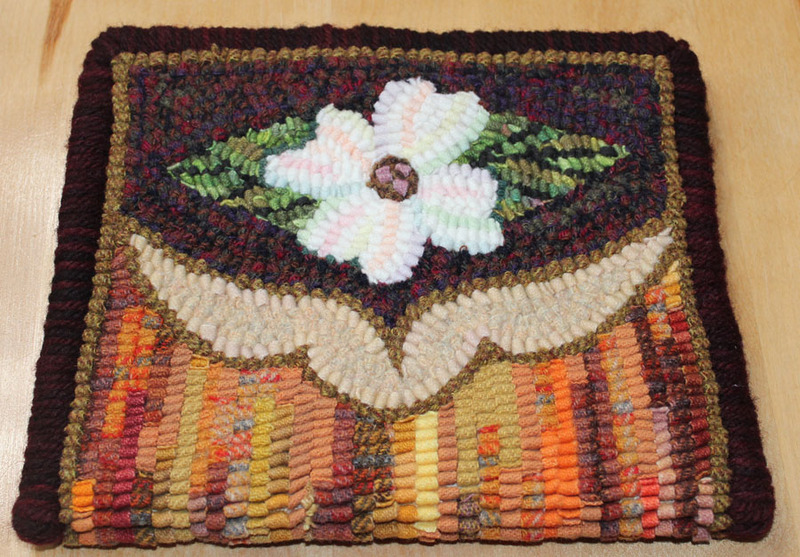 I’m happy to offer it for my rug hooking workshop, February 24-25, 2018 at Pacific Textile Arts in Ft.Bragg, CA. Showing the top opening of the little purse. I trimmed the edges, folded the edge toward the hooking, then basted all the way around. Folding the little rug in half to form the purse, I pinned the top to keep the sides from shifting. Starting on the bottom of each side, I whip finished the two sides together in one whipped edge, then whip finished the two edges of the top, separately. Using punch needle yarn, hand dyed by Lolly Golden of Needles in the Nest, made covering the edges a cinch! An iPhone fits nicely in this little purse. 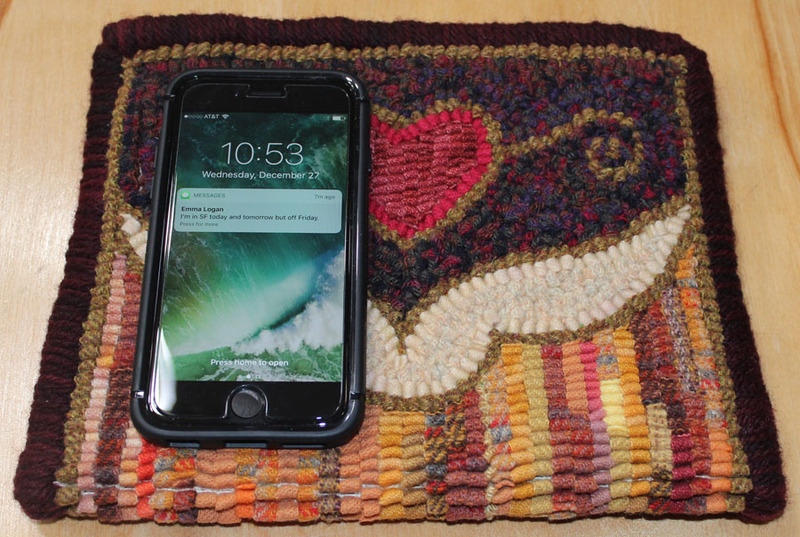 When I designed this little purse, I wanted to make sure it would be big enough for my iPhone and wallet, but not too much else. I’ll sew a little insert with pockets and a zipper, then stitch it inside the purse. 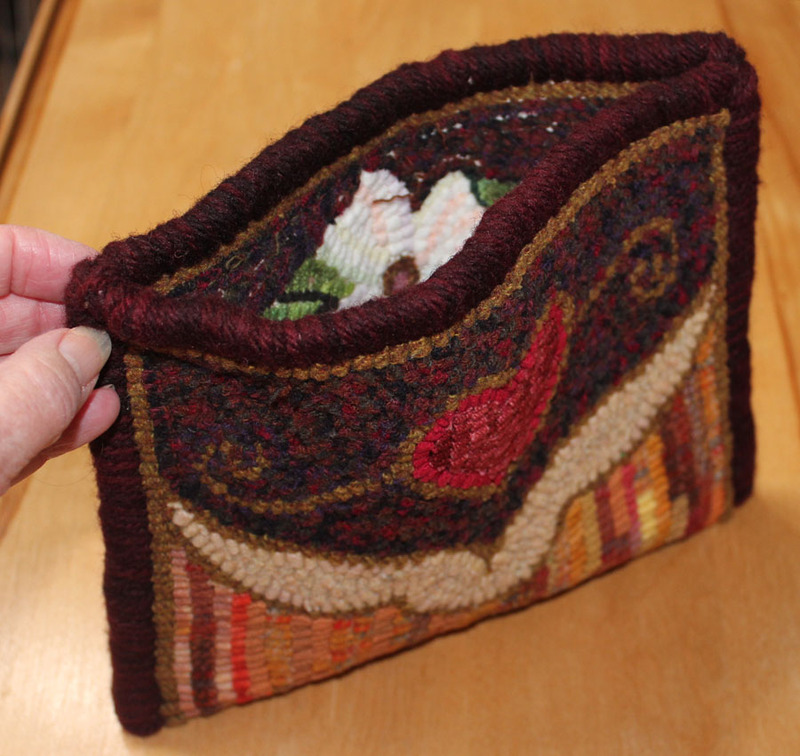 There are a few ways to finish up a little purse like this and I’m thinking about hooking another purse to illustrate other options. I’m also planning to make a second purse pattern, just a little bit bigger so it can accommodate my iPad!